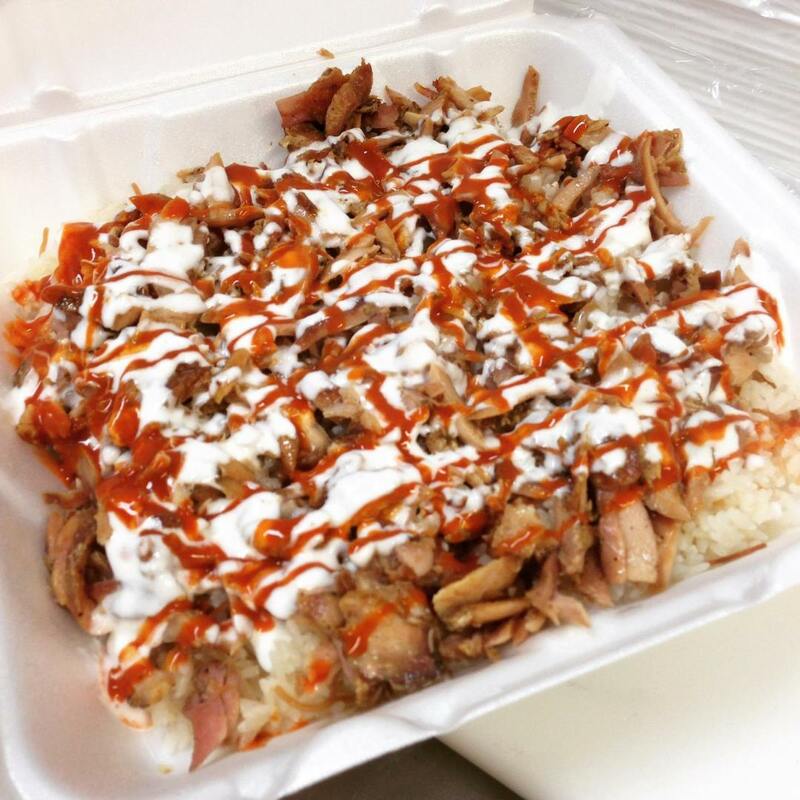 NYC-style chicken and rice at Dasman hits the spot. 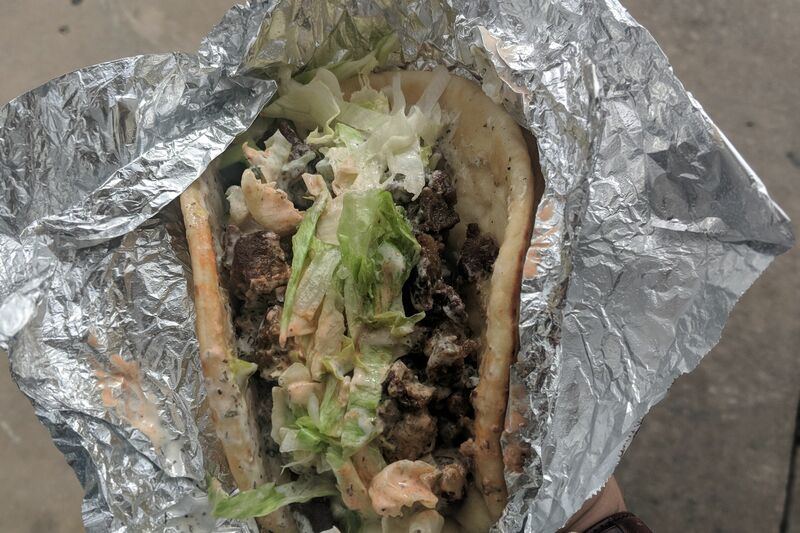 This Midtown truck is known for its mouthwatering, all-halal Mediterranean menu featuring juicy chicken shawarma and beef gyros, spicy Sriracha fries, and loaded chicken-and-rice plates—perfect to take home and enjoy after a long night on the town. Modern food-truck staples such as poutine, meaty sandwiches, and tacos fill out the menu here, but save room for dessert: the bacon-and-caramel cheesecake, a State Fair–inspired treat, helps Houstonians satisfy their festival-food cravings year-round. 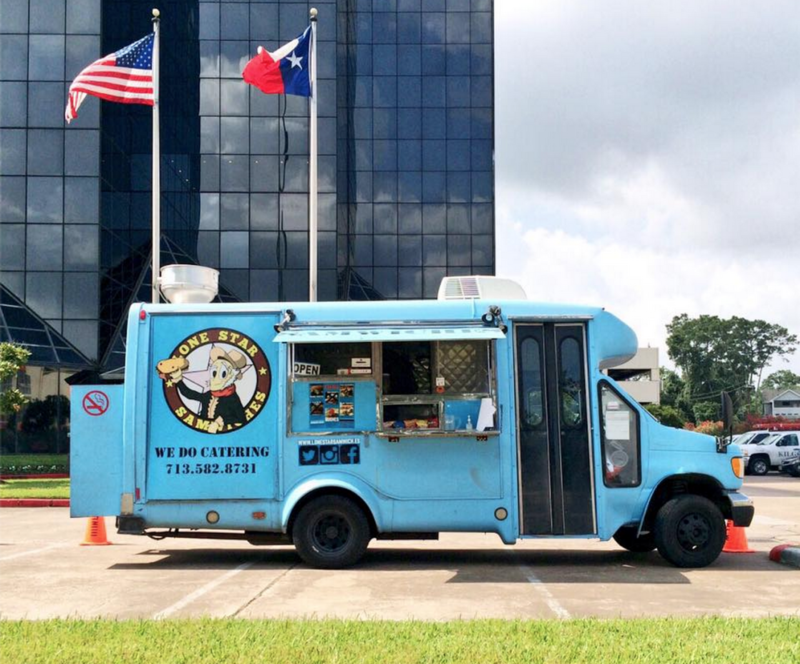 Look for the truck on university campuses across the city and at the Houston Food Park in East Downtown. This truck is known for its simple yet distinct menu of Hawaiian-style shave ice made with fresh fruits and house-made syrups. Adventurous flavors include pineapple-habanero, lychee, wedding cake and a spicy Cajun. 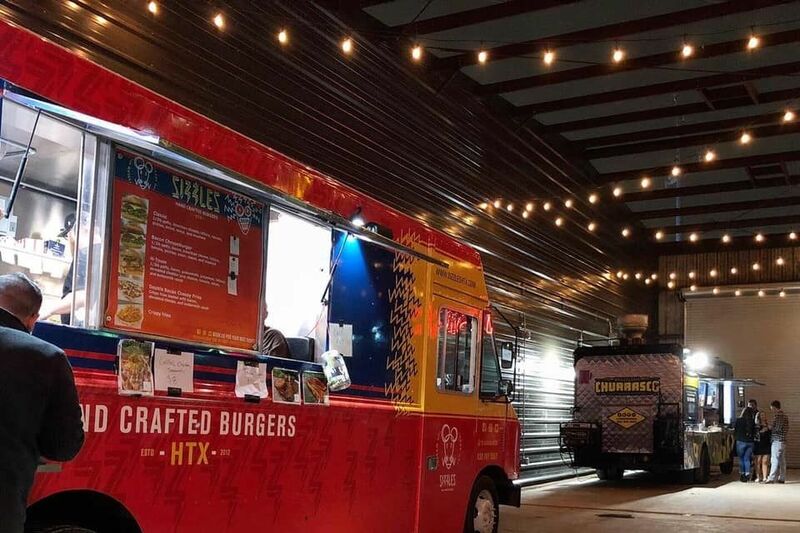 You can find the truck in the Heights during the week and at Hermann Park on the weekends. Lone Star Samwiches keeps the public up to speed on its daily whereabouts via social media. Over-the-top, melting pot–style takes on the humble sandwich at this bright-blue truck that’s often found in the Museum District and near the Galleria. Try the Deep in the Heart of Dhaka sandwich, which pairs East Indian spiced beef with crunchy cucumber guacamole, and the all-American Four Horsemen, made with layers of beef, chicken, turkey and ham. The famously decadent lobster rolls found at Maine-ly Sandwiches’ two bricks-and-mortar locations are just as good at its companion food truck. In cooler weather, warm up with the clam chowder on the patio at Little Woodrow’s in the Heights, just one of the locations where the truck posts up. This fun, colorful truck that’s often found in Buffalo Bayou Park does two things and two things only: Illy-brand coffee and fresh-baked cinnamon rolls. Of course, that laser focus means both are perfect. And if the tasty treats and finely crafted cappuccinos and espressos don’t get your day off to a good start, the upbeat staff, cheerful music and all-round energetic vibe will. 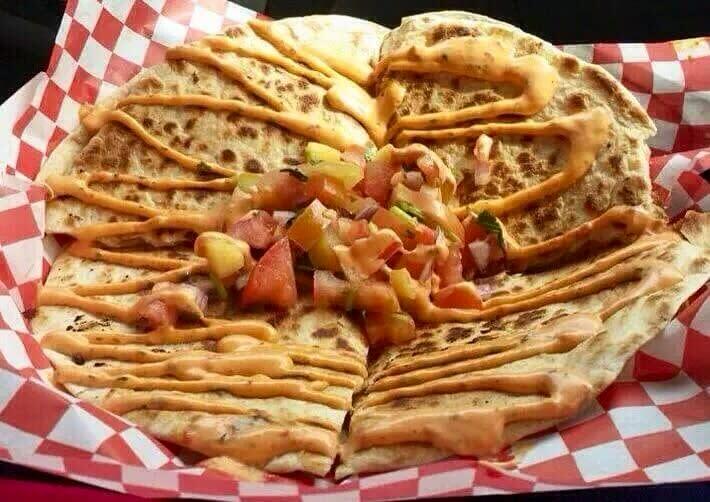 Try a chicken curry quesadilla at Pho-Jita. 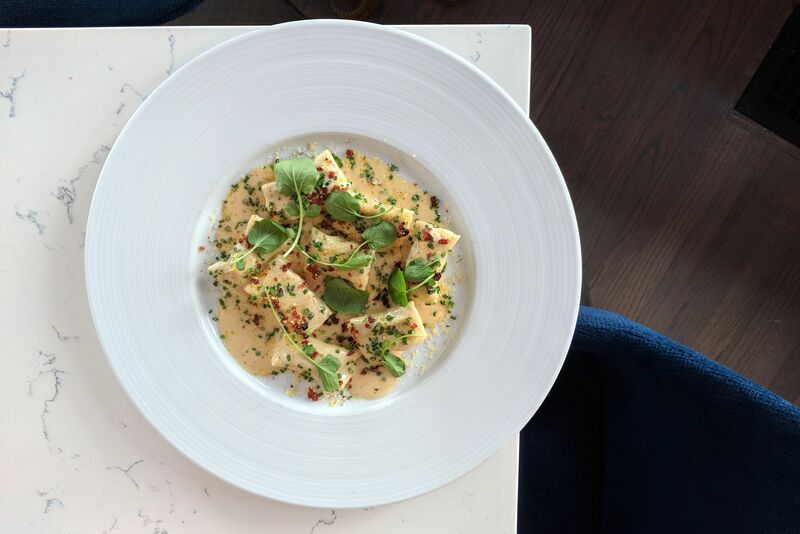 Equal parts Thai and Mexican, this truck offers sui generis fusion food like Thai-males: hearty corn masa stuffed with spicy chicken and basil. You’ll find it posted up at the Houston Food Park in East Downtown, catering to a downtown lunch crowd that also comes for standards like the excellent pad thai. Wanda—the truck’s nickname—has a huge following for her one-of-a-kind vegan menu that incorporates local and organic ingredients. Dishes change with the harvest, but staples include the beet falafel plate and the fresh kale salad with tahini-maple dressing. You’ll find Ripe at Inversion Coffee on weeknights and the Urban Harvest Farmers Market on weekends. As the name indicates, this truck specializes in ice cream smooshed between fresh-baked cookies—the ultimate dessert sandwich. With a variety of ice creams and cookies and tons of toppings (sprinkles, fresh coconut, chocolate chips, even bacon), you can customize to your palate’s content at Smoosh, often parked in Rice Village in the evenings. When the craving hits for finger-licking-good chicken, hit this truck—often found at Proof or Woosters’s Garden in Midtown—for its chicken wings, strips, loaded chicken sticks (fries topped with sautéed chicken) and sliders, all made with a signature tangy sauce. Add an egg or a bed of garlic-fried rice to really kick up the experience.